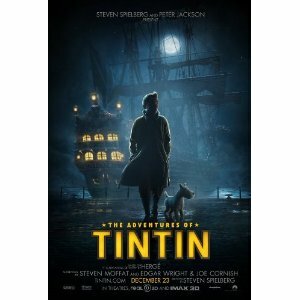 WorldMovieStore - The Adventures of Tintin Sinopsis. Steven Spielberg's and Peter Jackson's long-awaited full-length film, based on the original "Tintin" comics by Hergé, combines the stories "The Secret of the Unicorn," "Red Rackham's Treasure," and "The Crab with the Golden Claws" into a generally fast-paced adventure that feels just a tad too long. The individual stories and the characters Tintin, Snowy, Captain Haddock, and Thompson and Thomson are all quite faithfully represented. --Tami Horiuchi. Read More Sinopsis. 0 Response to "Blu-ray Release The Adventures of Tintin"